This collection follows the path set out by the volume Easy Studies, taking it deeper and further. Each piece, with fingerings and notes on performance, provides guitar students with the opportunity to explore the instrument's expressive subtleties, and professionals with inspiring hints on interpretation. CD with interpretation of pieces by Albert Mesirca. 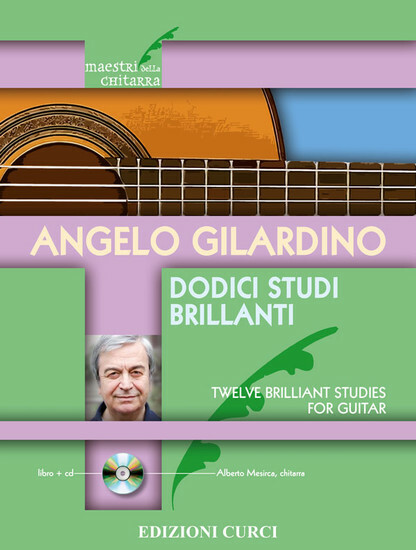 Angelo Gilardino is one of the most important contemporary composers of guitar music. Famous all over the world for his collection of "60 Studi di virtuosita e di trascendenza," he has written solo guitar music, concertos for guitar groups, concertos for guitar and orchestra, and a remarkable amount of chamber music works where the guitar has a major role.